Last night we started steaming towards the north. 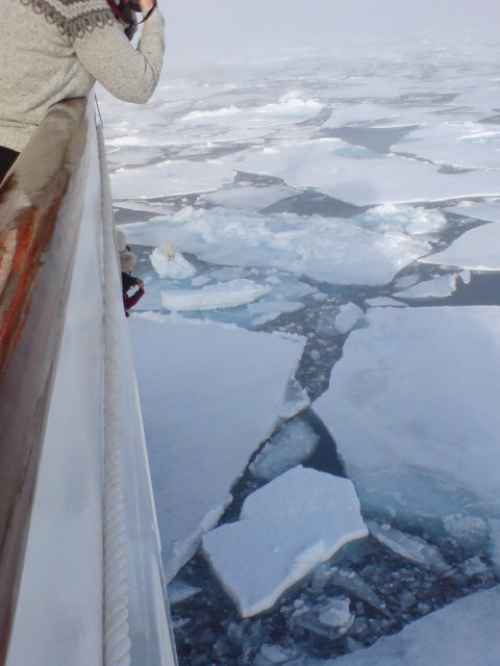 The plans were to cross 81° latitude as well as finding some ice. Everything worked out well – we crossed 81° north during the early morning hours and pack ice was also found before breakfast. I slept in a bit – and learned during breakfast that I had missed a really good Polar Bear sighting. Ian Bullock, one of our Lecturers, managed to spot a Polar Bear feeding on a seal in the fog! Luckily I did not really have time to be sad about the missed sighting. An announcement was made a few minutes later, informing us that another Polar Bear had been found. The Bistro emptied rapidly – I also went to take a look at the bear. And what a look I got! 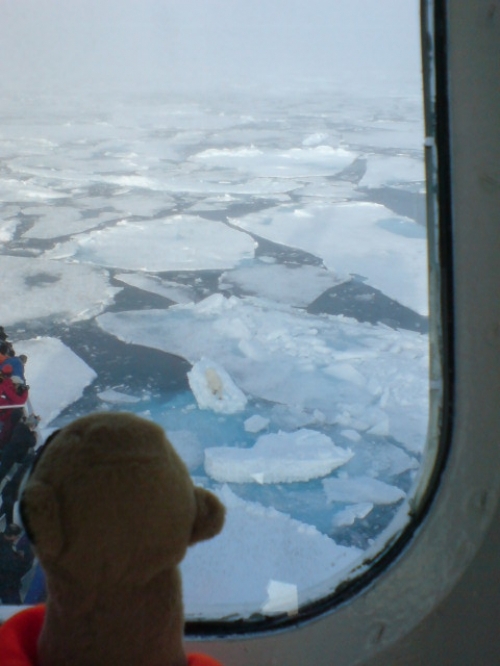 The National Geographic Explorer was stopped and the bear was leisurely walking towards us and then around the bow. 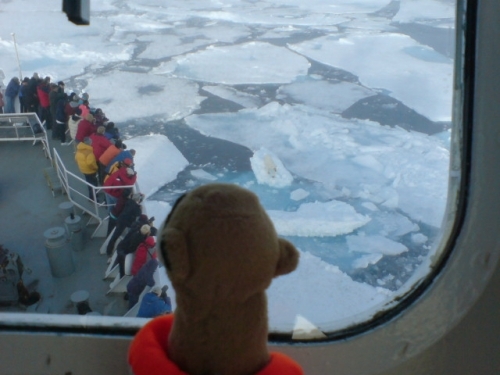 I chose to go up to the bridge-wing, where I had a fantastic view and was able to quietly watch the quality bear.